As 2014 drew to a close our last two charities days gained a lot of voters, and the worthy winners were The Base Norwich for October and World Horse Welfare for November. We found out a bit more about each charity when they came in to collect their cheque. 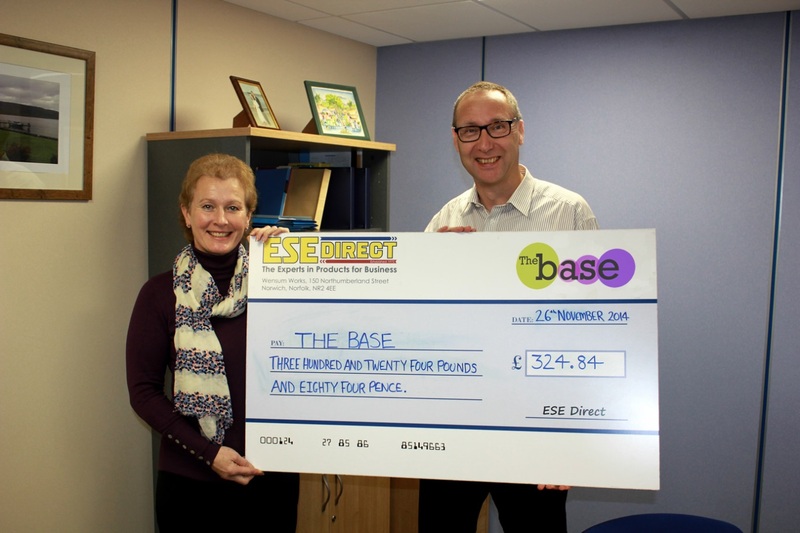 The Base Norwich was our October winners, and collected a cheque for £324.84. The Base Norwich provide support to the vulnerable young people in the Norwich are and aim to have a positive impact on their lives, giving access to youth clubs, special education needs groups as well as offering 121 counselling sessions. The money raised will go directly to helping them provide these services and more. 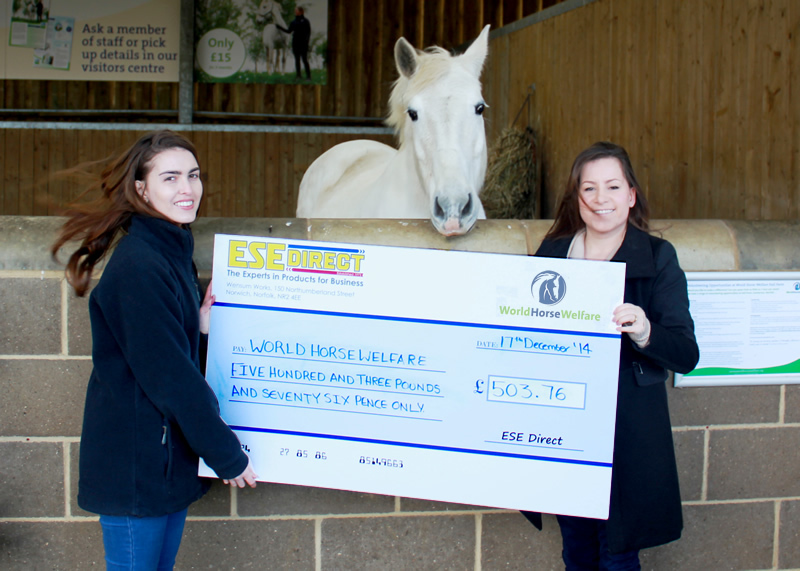 World Horse Welfare was our November charity day winners, a well-known international charity which is based in the beautiful Norfolk countryside; we presented them with a cheque for £503.76, one of our highest donations of the year. World Horse Welfare aims to stop cruelty to horses and make sure that they are treated with the respect that they deserve, as well as improve welfare standards worldwide. The money raised will go towards their continuing mission.